I use a number of different gentle techniques to help little sleepers. I was trained by the Naturally Nurturing Sleep Clinic and I believe that gentle methods of improving children’s sleep are the best for both children and their parents. Emilie has a very gentle approach to helping children improve their sleeping habits. She trained as a sleep consultant as part of the Naturally Nurturing Sleep program, which endorses gentle sleep coaching. Parents can often assume sleeping is a developmental milestone that comes naturally, just like walking, but, in reality, healthy sleep habits are actually a learned skill. In parenthood, we coach our children in many ways throughout their lives. So, just like reading and riding a bike, it is important for a parent to acknowledge and feel empowered to coach their children on how to independently and peacefully go to sleep and stay asleep. Emilie’s approach is designed for parents who want their child to sleep well, but do not want to leave them alone to cry in order to achieve this. Crying is very stressful for children and parents and I do not believe it is necessary to achieve good sleeping habits. Following a consultation, Emilie creates personalised, easy-to-follow plans that help babies and young children resolve sleep problems – ending the cycle of bad sleep. Sleep teaching service available for children between 3 months – 6 years of age. Parents need to be consistent for at least 2 weeks but most sleep issues are resolved in the first 1 – 4 days. 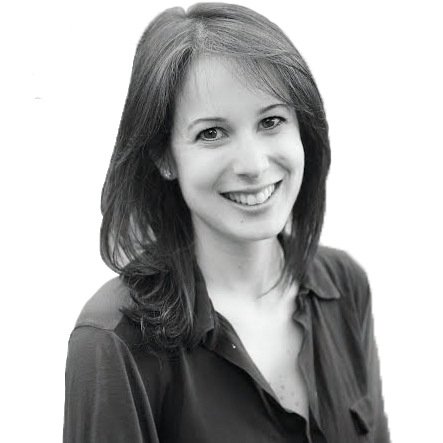 Emilie works primarily with families either in her consulting room in London NW8 or in clients’ own homes. Phone consultations are available when in-person meetings are not possible. Having completed both a BSc (Hons) and MSc (Hons) in Psychology, Emilie worked for eight years in Human Resources, with a particular focus on Occupational Psychology. Following the birth of her three children, Emilie became very interested in the domain of children’s sleep and the psychology surrounding this. She qualified as a certified children’s sleep consultant in order to practice formally in this field and is a member of the British Sleep Society and the International Association for Sleep Consultants. Additionally, she has travelled extensively with her young children and can give advice on jet lag and how best to cope with this. Emilie has helped numerous families with a wide range of sleeping problems. She is known for her kind and gentle approach and always follows up until the issues are fully resolved. Emilie has quite frankly transformed our lives. From the off we struggled with our baby’s sleep. By the time he was 6 months we were exhausted and feeling hopeless so I contacted Emilie. She visited us at home and I felt immediately that I could work with her. She is completely professional but also so kind and empathic. She drafted a well written and clear report which we’ve stuck to and what can I say…it’s worked. Our baby never slept in his cot (and only in the sling during the day) and never for longer than 2hrs. Now he has started to sleep through and nap for a couple of hours in the day. I won’t lie, it’s been hard work but Emilie has been there at every stage with telephone calls and texts. We have felt fully supported throughout. She also provides general parenting advice (eg weaning and breastfeeding) which has been invaluable. Finally, one of the most important factors for us is that Emilie has a gentle approach (ie she advises against leaving babies to cry alone, but to stay and comfort them). So if, like us, you’re exhausted but can’t bare the thought of leaving your baby to cry then do contact Emilie. It’s the best money we’ve ever spent. I wanted to say a very heartfelt thank you for all your help and support in helping us sort out Conrad’s sleep. As you know, though I loved the nighttime cuddles and closeness with him, at six months I was ready for him to sleep in his own cot in his own room and to stop feeding at night. I was truly astounded that he was doing all that 1 1/2 weeks after you came to see us and worked out a sleep plan with us. Although it took some major steadfastness and resolve on my part, I felt in good hands with you and really got through the tough bits because I knew you were there cheering me on and supporting me. The schedule you put us on not only worked well for Conrad, but also made life easier for us as a family of 4. I was also grateful that you supported my wish to continue breastfeeding exclusively and were able to integrate this into the plan. Thank you also for continuing to be there for us months down the line to help us with little tweaks to help with early morning waking. Working with you was a wonderful decision – the real person-to-person contact and individual plan you worked out for us was worth it’s weight in gold compared to the endless and differing advice found online and in books. I would not hesitate to recommend you to other sleep-deprived parents! Thanks again for everything! Emilie was exactly what we needed. Two very exhausted parents, we needed someone to cut through the endless online advice and to just tell us exactly where we were going wrong. Her friendly demeanour gave us the confidence we needed, her knowledge and understanding of the problem we faced meant that we found a solution quickly. Highly recommended! Emilie’s calm approach and easy to follow plan really help get our daughter back on track. Daisy is now sleeping through the night again and I feel human during the day! Thank you Emilie. Emilie, you have been an amazing help to our family. You have guided us and helped us so much in getting our little Belle to want to go to sleep and also to stay asleep throughout the night. Your on call service and checking in on us every few weeks is very much appreciated. Thank you! I just wanted to let you know Millie’s sleep is amazingly good now and your advice has transformed our family life, thank you. We just got back from 17 days in Spain and Millie adjusted easily to the 3 new locations we used while we were away. Bed and nap times are calm and easy. We would never have dared go away before, as it was too stressful. The alarm clock has also helped. Most mornings she chats and sings happily in bed, waiting for him to go off at 7. Contact: info@emiliecarosleep.com | Copyright 2016 Emilie Caro Sleep | All Rights Reserved | Powered by Words & Sports ltd.